We are in the midst of a crisis of capitalism and commentators compete to provide accounts of its origins in misguided policies or corporate malpractices, as though it is in some way a deviation from the normal functioning of capitalist economies. Recurrent crises are, however, one of the characteristic features of capitalism and to understand them we need to step back and consider the nature of the capitalist system. So what are the distinctive features of capitalism? The most fundamental is the distinction between capital and labour. The means of production and the product are owned by private capital, while workers have only their labour to sell. Both labour and capital have an abstract and disembedded quality that separates them from specific economic activities. In a capitalist society labour can move freely between occupations, while capital can move freely between profit-making activities in any branch of the economy, profitability becoming the key criterion for investment in production. Production and consumption are separated-people no longer consume what they produce or produce what they consume. Markets mediate between the producers and consumers of products and services, but also between employers and workers, for there is a labour market where those seeking employment and those needing labour meet. And a capital market too, where exchanges take place between investors and companies seeking capital. The mobility of capital and labour, the separation of production and consumption, and market relationships that generate competition, give capitalism a highly dynamic quality that makes it immensely productive but also unstable and liable to crisis. The origins of capitalism should be sought in the development of the European economy as a whole rather than Britain but it was in Britain that the first fully fledged capitalist economy emerged and with it came regular crises. What Karl Marx called a 'crisis of overproduction' occurred when supply outstripped demand, which could easily happen because of the separation of production from consumption. Economies of scale and technical advances driven by competition resulted in the production of more and more goods, more than could be absorbed by the market. Prices would then fall to the point at which production was no longer profitable, companies went bankrupt, and workers lost their jobs, which further depressed demand. Once production had dropped to a level that the market could absorb, growth would resume until overproduction again resulted in a crisis. These cumulative mechanisms were highly evident in the Great Depression of the 1930s, which demonstrated the vulnerability of the capitalist world economy to crisis. The spread of industrial production to new countries and the techniques of mass production had greatly increased productive capacity and meant that huge levels of demand were needed to absorb it. The international division of labour between manufacturing countries and those providing food and raw materials created an interdependence that locked them together in a global crisis. The situation became worse as international competition combined with demands for protection to generate a national protectionism that erected barriers to world trade. This crisis too passed, with new products and growing military expenditure, as World War Two approached, reviving demand. The steady growth that ensued through the 1940s, 1950s, and 1960s led people to think that crises belonged to the past. The Cold War kept military demand high, while the mechanisms of consumer capitalism absorbed high production by enabling workers to buy each others' products. Thus, car ownership spread down the social scale, while refrigerators, televisions, and washing machines became standard household items. Governments now claimed to be able to head off crises through Keynesian policies, though sceptics have argued that their interventions were generally mistimed and ineffective. In the 1970s, however, crisis returned in a different guise and stimulated a remarketizing transformation of capitalism in the 1980s. The long boom since the Second World War had eventually generated a profitability crisis, as highly organized workers pushed up wage-costs, the prices of raw materials increased, and international competition (enter Japan) intensified. Declining profits, particularly in the old industrial societies, hit the profit-making central to a capitalist economy. Trade unions, the growth of the public sector, and state welfare programmes were blamed for this. The remarketizing response of Thatcherism and Reaganomics was to privatize, deregulate, and restore market forces. This became the new orthodoxy transmitted throughout the world by globalization. The conflicts and deficiencies of capitalist society had given rise to a century of growth in labour organization, public services, and state welfare but now all this was in most countries going into reverse. Profitability and growth did return, if not without occasional blips along the way, but, as we now well know, another major crisis was waiting in the wings. This began to unroll in 2007, and seems unlikely to end any time soon. The current crisis can actually be traced back to the remarketizing policies of the 1980s. A central feature of these policies was a 'big bang' deregulation of financial activities, which freed up banks and mortgage lenders to make risky loans and engage in other speculative activities. Deregulation had produced the conditions in which the crisis of 2007 could develop and run out of control. A house-market bubble inflated and eventually burst, and 'sub-prime' borrowers defaulted on loans, the two together threatening to bring down over-extended banks. Lehmann Brothers was allowed to go bankrupt. Panicking banks hoarded capital, inflicting a credit crunch, which resulted in economic recession. Thus, the 1980s 'solution' to the 1970s crisis had led eventually to the current crisis. Since then there have been many proposals to re-regulate financial behaviour but the problem is actually deeper than this. The fundamental problem was and is the accumulation of high levels of debt that cannot be serviced, let alone repaid. Low rates of interest linked to an ample supply of money from the surplus economies of the Far East encouraged lending and borrowing-hence the house-market bubble and the sub-prime crisis, which resulted from the indiscriminate lending of money to people who could not possibly pay it back. Furthermore, banks had themselves borrowed huge sums to finance their speculative activities and had to be rescued by governments, which have themselves borrowed far too much, partly in order to deal with the crisis-hence the current problem of sovereign debt and defaulting states. The growth of debt was one way of coping with the overproduction tendencies of capitalism. As globalization processes have spread production to new centres, global production has increased, but consumption has not kept pace. The new producers had a competitive edge because they paid low wages, which kept consumption down, China being the prime example of this. The gap between production and consumption was, however, bridged by the flow to the West of money from the surplus countries of the Far East. This made possible the cheap loans which allowed consumers in the old industrial societies to keep spending and the new industrial societies to keep producing. There has been an immense growth in ways of borrowing money, through credit cards, mortgages on houses, and equity release-to name some obvious examples. Consumer capitalism has indeed been running on debt of one kind or another since the invention of hire purchase. Now that indebtedness has reached the point at which individuals, companies, and states can no longer service it, this mechanism can no longer operate. The debt crisis can only be solved by cutting indebtedness but this will inevitably reopen the gap between production and consumption. The growth of debt had, in the end, only postponed an overproduction crisis into the future. This is not to suggest that the current crisis is in any sense a final one. It is important to remember that it is above all a crisis of the old industrial societies in Europe and America. The rest of the world is affected but does not have the same problems. Furthermore, out there are countries with surpluses, notably China but also Japan and Germany. If the debtor societies struggle to find a way out, it is in the interest of the surplus countries to help them, in order to preserve the markets for their products. One way or another capitalism will continue on its crisis-prone way, the solution to one crisis begetting another. There is no final crisis and no final solution to crisis. 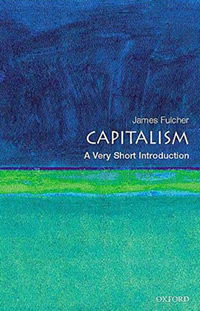 James Fulcher teaches Sociology at the University of Leicester. He is also author, with John Scott, of Sociology (Oxford University Press, 4th. edition, 2011).